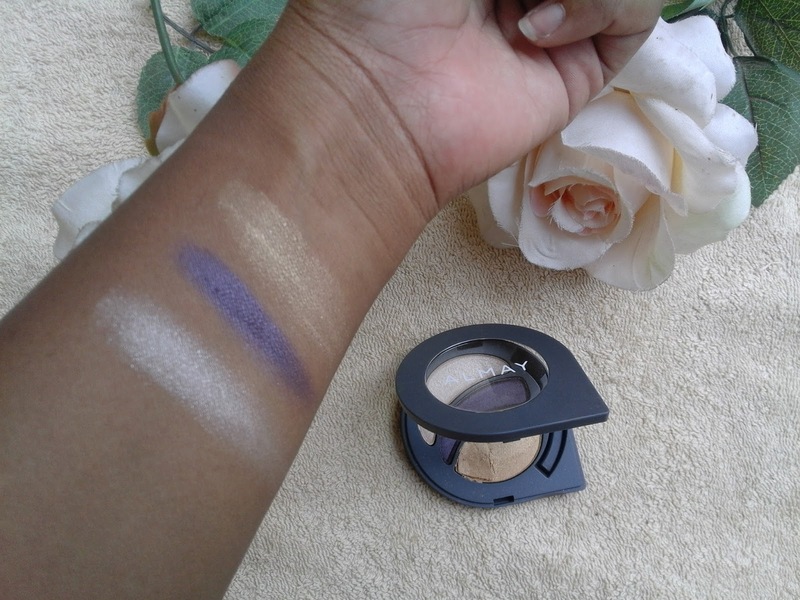 Today I will be focusing mainly on The Brights Party intense color I-Trio Eye Shadow Palette. The color selection for the Party Brights Palette is on point see swatches and pictures below. 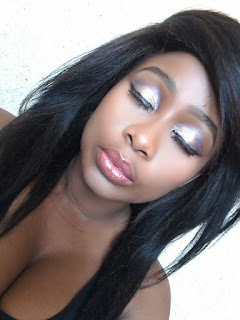 The colors are highly pigmented and a little goes a long way. The swatches I tell you are just one application, I did not need to go back the second time so that the shades can be seen on camera, they are that much pigmented. I did a detailed Review here I-Color Eye Shadow Review Almay Intense . 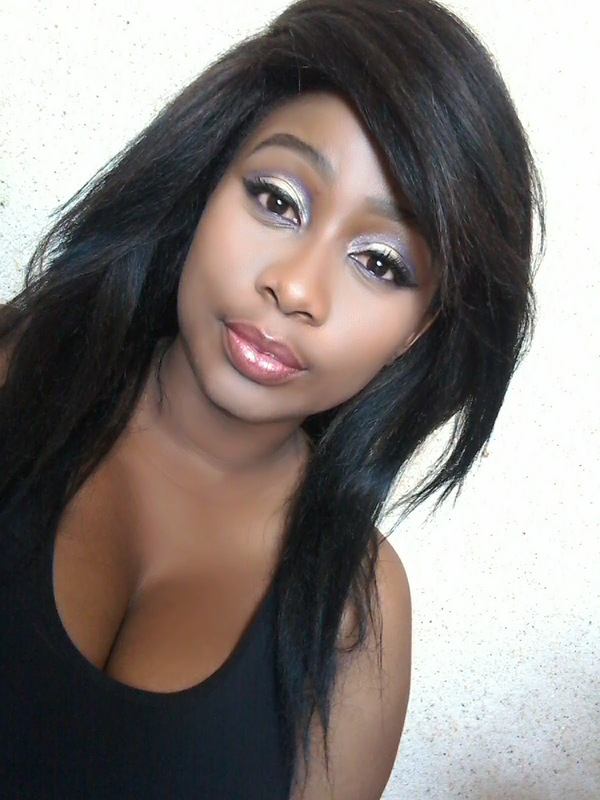 Today's post is just to show you how beautiful the shades are and to also give you quick tips on how you can achieve this simple look. Here are my quick tips on how you can apply the Party Bright Intense I-Color Eye Shadow Palette. 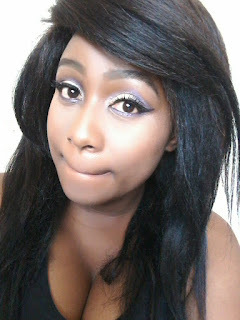 · You will start off with the lightest shade to cover up the whole eyelid area. 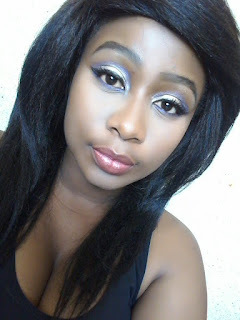 · Then you follow with the darkest (purple) shade to cover the ends of the crease area. · Then you will take the medium (gold) shade to cover the inner crease area. P.S. You can also use the lightest shade to cover the tear dots area just for a bit of spark. 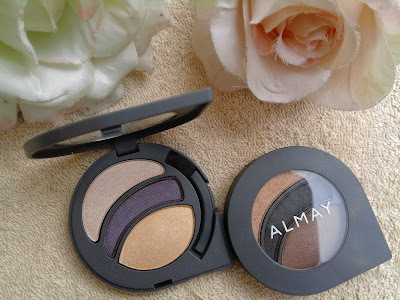 The Almay Eye-Shadow Palettes were kindly sent to me.